The sixth-eighth grade students performed their plays at the Maricopa High School Performing Arts Center March 27-28. In all, the audiences were treated to 32 original plays written and performed by the students. All of the plays were set to digital backgrounds that were created by the students. Rather than build sets, the project required the students to create digital backgrounds that were timed to change with the dialogue and setting of the play. It was a first-time experience for many of the students to be on stage. 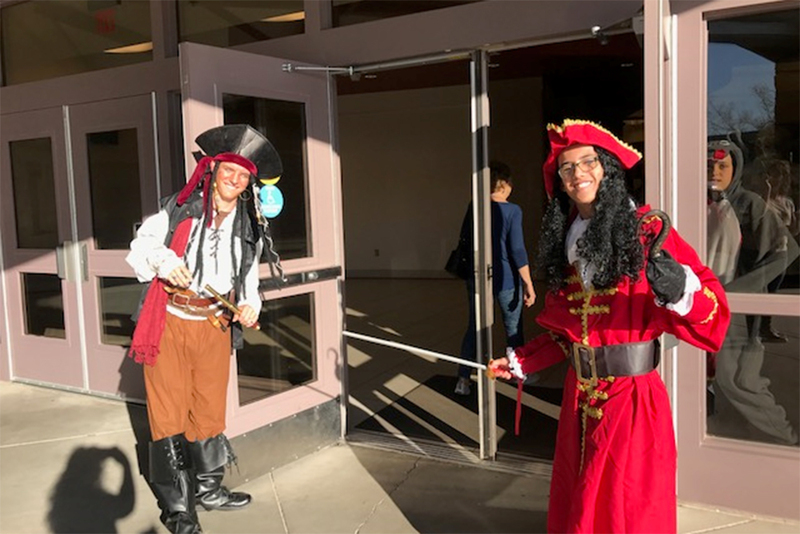 They also received help from the MHS Theater Tech department and teacher Kevin Piquette, and parents helped with costumes.